Home | Stiri tancuri | Patchnotes 9.17.1 – care sunt schimbările? Se pare că au apărut în sfârșit patchnotes-urile pentru versiunea 9.17.1. Mai exact, putem inspecta schimbările care au fost efectuate asupra tancurilor din joc. Eu vă recomand să inspectați fiecare modificare în parte, chiar dacă aveți tancul respectiv sau nu, deoarece această informație poate să vă ajute într-un meci împotriva unui adversar. – Reload time for OQF 20-pdr Gun Type A Barrel for the second turret changed from 8 seconds up to 7.5 seconds. – Reload for 105 mm Royal Ordnance L7A1 reduced from 12 seconds. to 11.2 sec. – Reload time for 7,5 cm Kw.K. L/100 for the second turret changed from 4.4 seconds up to 4 seconds. – Recharge time gun 7,5 cm Kw.K. 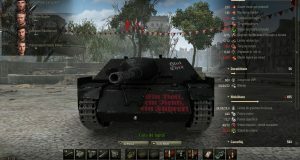 L / 100 in the first turret is changed from 4.6 to 4.2 seconds. – Reload time for 15 cm Pak L/63 changed from 16.5 to 18 sec. 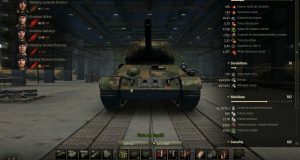 – HP with first turret changed from 610 to 650 units. – HP with second turret changed from 710 to 750 units. 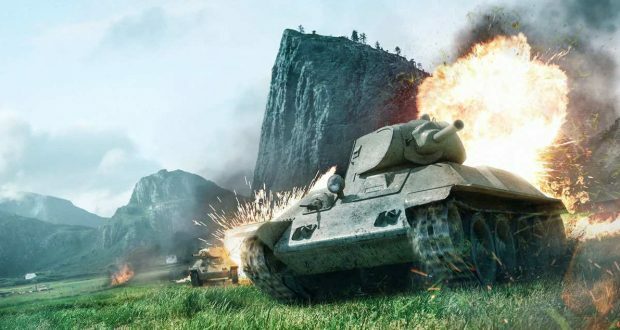 – View range for first turret changed from 320 m to 340 m..
– View range for second turret changed from 320 m to 350 m..
– View range was changed from 350 m to 365 m..
– Reload time gun 8.8 cm Kw.K. L/100 for the second turret changed from 6.6 seconds. to 5.5 seconds. – The spread of weapons from the first suspension movement decreased from 0.24 to 0.22. – The spread of weapons during movement of the second suspension is reduced from 0.22 to 0.21. 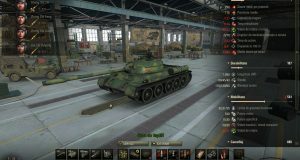 – The spread of weapons during rotation of the first suspension is reduced from 0.24 to 0.22. – Spread during movement with first suspension reduced from 0.23 to 022. – Aim time for 12,8 cm Kw.K. 44 L / 55 for the second turret changed from 2.9 seconds. to 2.6 seconds. – Angles of elevation and depression of guns changed both towers from -6 to -8. – Dispersion during movement reduced from 0.2 to 0.15. – Dispersion during hull rotation reduced from 0.2 to 0.15. – Dispersion during turret rotation changed from 0.16 to 0.11. – Dispersion during movement reduced from 0.19 to 0.15. – Dispersion during hull rotation reduced from 0.19 to 0.15. – View range changed from 350 m to 365 m.
-Dispersion during movement reduced from 0.23 to 0.21. 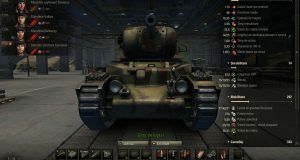 – Dispersion during turret rotation reduced from 0.16 to 0.1. – Reload changed from 22 seconds. to 20 sec. – The spread of guns 7,5 cm Kw.K. 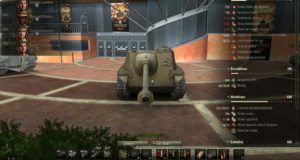 42 L / 70 in the second turret during rotation is reduced from 0.2 to 0.12. – Upper front platerl armor increased from 60 to 85 mm. – Lower plate armor reduced from 60 to 50 mm. – shell UBR-365K (160/126) replaced by UBR-365KBM (180/144). – Projectile UBR-365P (160/167) is replaced by UBR-365PBM (180/194). – Projectile UOF-365K (280/43) replaced by the UOF-365BM (300/44). – Review increased from 350 to 360 m.
– Hull traverse speed is reduced from 0.24 to 0.22. – The spread of guns has been reduced from 0.42 to 0.37. – Armor at side of the roller is reduced from 254 to 76.2 mm. – Weight capacity for Type 4 Heavy Kai changed from 165,000 kg. up to 170,000 kg.